There are many people who don’t know the vitality of liver and the role it plays in the functioning of the body. 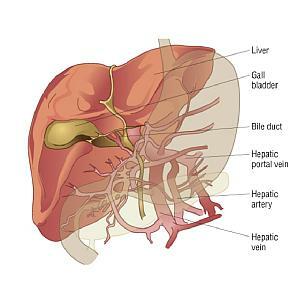 If you are also one of these people then you must know that liver is one of the most vital organs of the body. It is the detoxifier of the body as it helps to eliminate all the toxins from the body. Thus, any damage to this organ can lead to death. The most common disease of the liver is the cirrhosis of liver wherein there is deterioration of the liver due to chronic injury. In this disease, there is a blockage of blood through the liver and unhealthy or scar tissues replace the normal tissues of the liver. Faulty diet and excessive consumption of alcohol are the major causes of liver cirrhosis. Thus, a person consuming an excess of alcohol stands higher chances of developing this condition. However, there is, in fact, no need to worry about liver cirrhosis as there are many ayurvedic medicines that help to get rid of this condition in an effective manner. As the saying goes, that prevention is the best cure, this applies to this condition as well and hence a person needs to curb the intake of alcohol to prevent the disease in first place. One of the most effective treatments for Liver Cirrhosis is the juice of the leaves of Bhringaraja or Eclipta Alba. This is mainly because; Eclipta Alba is known as an hepatoprotective and hence helps to get rid of not only Liver Cirrhosis but also other disorders of the liver. It not only helps in eliminating the Liver Cirrhosis but also contributes towards enhanced digestive system and improves the appetite of the person. However, it is bitter in taste and hence needs to be consumed along with honey especially if the patient is a child. Another Ayurvedic treatment for the sake of treating liver cirrhosis is Katuki . Katuki is herb obtained in the Himalayas in the Indian sub-continent. It consists of the dried rhizome and its root Picrorhiza kurroa or Royle ex Benth. Rhizome is cut into small pieces and the person is asked to consume in the form of a tablet. The person suffering from liver cirrhosis should stay away from food that cannot be easily digested. The person should also stay away from foods such as curd, ghee, and oil. Vegetables such as bitter gourd are effective in treating liver cirrhosis. In some cases, fasting for some days can also help in bringing the functions of the liver on track. A person suffering from liver cirrhosis should also not sleep during the day time and should avoid travelling on bumpy roads as much as possible and should also refrain from indulging into any strenuous exercises and take rest. My friend is suffering from chronic liver cirhosis. Main cause as identified by doctors is alcoholism. Now his stomach is swallon heavily. He finds it very difficult.Very frequently liquid is removed from his stomach but problem reappears after few days.Please suggest what best treatment can be suggested. He si 50 years male,non diabitic Patient. VISIT THIS LINK BEFORE YOU CALL THE CLINIC. It is really difficult to tell about some kind of medication or prescribe some treatment methodology without physically examining any patient, as body types differ from person to person. We will advise you to visit an ayurvedic doctor near you, who can guide you on the treatment. 20 years back my father got treatment against Liver Cirrhosis, though he is non alcoholic. He had lots of blood omitting,but luckily received required treatment(endoscopy) immediately. He followed all the prescribed medicines strictly and was perfectly alright for past 20 years. But 2 months ago, suddenly his stomach started paining and is swollen. Doctors have removed the water and prescribed medicines again, but he is terribly weak now and twice we marked swollen abdomen also which was disappeared automatically. Please advice what can be the home remedies we can follow to minimize or to cure the problem. Can liver cirrhosis in such cases completely be cured with Ayurveda? This is Bhaswati here. Actually my mother had been diagnosed with Cirrhosis last year. Its really very shocking. She never had any complications, only mild indigestion sometimes. So we had actually consulted a doctor. They had suggested endoscopy. There they have detected esophageal varices. Upon further investigation, they said its Cirrhosis. Could you plz tell me what are the exact medicines that ur father had been taking since past 20 yrs? Why I am asking is 4 my mom most of the medicines include multi vitamins, protein powder.. So i just want to know what are the medicines suggested by your doctor? Kindly reply to my mail.. I would remain ever grateful to you.. Thanks awaiting your favourable reply. I would also like to know if there is a cure for this disease in aryuved.I iwould really appreciate if any one could give some input on this. Hello everyone….I wanted urgent help….My father who is 65 years old has been detected with liver cirrhosis (alcoholic) in August 2013….he was suffering from acities due to liver cirrhosis….and now last month we had done endoscopy and found that he has esophageal varices so as per the Dr. we have done banding in the month of Feb 2014. It’s great to read something that’s both enjoyable and provides prdaigtmsac solutions. Pls use bhringraj asava and kumariasava along with mahayograj guggulu. Also search on YouTube vaidyaraj anil does. Till date I have not found a single person ,doctor or vaidya like him. And if possible ask your father to perform some yoga saans but only after consulting some yoga expert. hii, Myself Shubham Laxminarayan Jaiswal..
My mother is suffering from liver cirrhosis.doctors say about it to us now..I want to know about where does your father takes his treatment of liver cirrhosis..I kindly requested you to give information about his treatment.pls help us..we lives always thanxful to you.pls help us. what are the condition he facing right now and what are the symptoms i am also patient and waiting for liver transplant. so i can suggest is what medicine and what to do. Required your help my father age is 62 Years he is suffering from chrosis liver disease so, pls advice me for the treatment. Thankful to u if u rply fast. Plz suggest me for the treatment of liver cirrhosis. What medicines your father has been taking? My father has same issues. Can u plz mail me d details of the treatment as i m so much tensed about my father. Is any reply from rupali bcoz my father also suffered from liver cirrohsis.can u plz share the treatment. loss of apetite, poor sleep, and weakness. what is the best Ayurvedic treatment for him ? My sisters Mother in law is a liver cirrohsis patient and is based out of Meerut & Gurgaon. she is facing this problem for sometime now. Would appreciate, if you could give me some leads of a good medical practiioner who can show us way and help aunty recover from the problem. you could reach me on dsouzap@rediffmail.com or call on 9819304390. Any help would be highly appreciated. are you 100% sure that cirrhosis can be cured with you medicines ?? Definitely, any diseases can be treated with medicines. But remember diagnosis of disease and ensuring the body type can do magic in treating any disease. Ayurveda prescribes different medicines for different body type. All medicines on AyurvedDoctor.com are for reference purpose only and should not be taken with out prescription from a qualified doctor. We will suggest you to visit a near by reputed well experienced(and qualified) doctor and get patient’s body(dosha) checked and get medicines prescribed. Wish the patient a quick recovery! my father is diagnosed with cirrhosis of liver and he is under going treatment with allopathy but the recovery is slow so i want to know that if i can have both the allopathy and ayurvedic treatment together. sir please advice me on this and anyhing of help. can u give me a good ayurvedic doc contact details who is in delhi , so i can meet him and ask for medication. No ascites till now as per Endoscopy. Can it be treated with ayurvedic medicines? My father Mr. Narsinh Bhavsar (Age 62 running) has Liver Cirrhosis and was detected dated on 6th July 2013. Till now 3 times he got addmitted into the Hospital. Our treating doctors suggestes us Liver Transplant. Can anybody give me best pointer, doctors, ayurvedic/homeopathy treatement for this. I am also trying to visit Tibetian treatement which is very effective or cheaper. I suffered from mouth Ulcer since two years, I visit 3 to 4 doctors for the same. Lastly a doctor suggested to do for Endoscopy( GI Scopy) and sonography .In the sonography the Liver enlarged 151mm with coarse Echotexture and portal vain dilated up to 14mm, spleen is enlarged 119mm. Means . Cirrotic changes in Liver= Mild Hepatomegally with dilated portal vein , No Ascites seen in Abdoman and Pelvis. Platelets are 117000 to 120000 . Mean value : 28 seconds. I am deabetic patient and taking Glimstar M1 1and half in morning and half in evening. In this stage Cirrosis can be recovered or not if yes then guide me what i have to do for this? Is there any Ayurvedic medicines in this stage? I am waiting your guide. I have similar case of my father who is been treated in Asian Institute Hyderabad. In my case doctors r saying the survival rate is 6 months to 12 months only. We all r heartbroken. Reena How is father doing now coz ur case was in 2013.so is he ok now. What did u do.. Allopathic or Ayurveda.pls plss help me or guide me if possible. Plss waiting for ur earliest reply or u can call on my no. Plss was or else it will be too late for us. Fr all patients suffering from liver cirrhosis ,plz visit patanjali yogpeeth in haridwar.there is no cure in allopathy but Ayurveda can do wonders in liver disease.my father himself has benefitted a lot. we are looking for the natural treatment for “Liver Cirrhosis”. We have heard a lot about your treatment. So hope you will guide us with the best solutions. Pls us your mail Id we will forward the reports to you. Please choose a doctor from below URL and send your query to them. Try to send it to multiple doctor.Someone will definitely help you. Respected Sir, My niece is of 7 month now. Now she is infected with liver failure due to jaundice as doctor says. and they tell us that to transplant the liver as early as possible. Is there ant solution in Ayurveda ??? Plz Reply Me Sir …. Please choose a doctor from below URL and send your query to them. Try to send it to multiple doctors.Someone will definitely help you. My mother is suffering from autoimmune hepatitis from last 5 years. now side effects of immunosupressents medicines are increasing and she is facing too uch problem in liver like swellling chronic pain jaundice. i want to know if any treatment available in ayurveda for this disease as there is no treatment in allopathy of yhis disease. I am too suffering from Autoimmune hepatitis, Kindly advice if there is treatment in Ayurveda for this.Himanshu did you get any reply. hy sir my mom is suffering with hepetitis ‘C so what is aayurvedic treatment because a other medicine side effect for her plz replyy. in mumbai have a aayurvedic treatment. My father is suffering from chronic cirrhosis. He is 75 years old. he has swollen legs and abdomen. is there any cure in ayurveda for this. regularly they are taking water from his stomach. please help. he is in chennai. My father is suffering comical liver disease.heis 58yrs old.he is non alcoholic, having no hepatitis, but one yrs ago he suffered from jaundice and also he is diebitic and thyroid problem.so pls suggested me which kind of medicine is best for him.pls reply me soon. My mother is diagnosed with cirrhosis. She has stage 1 verices. Please suggest so that we can prevent her from any bleeding. Till now no bleeding happened so far but what precautions can be taken for future. If it is possible who will be the best doctor in Maharashtra. Pls help me patient is very serious. In the year 2013 I have been diagnosis by CMC Vellotr and in the year 2015 by Asian Institute of Gastrology that i have been suffering from liver cerrhosis and after that I ave stopped all the Alopath medicine and started the home remedies by takung Kalmegh,katuki,punarnave,brahmi,sarpunkha,bhmi amla and taking the juice of all herbs now i am fell so happy and within this period I never be face any difficulty and fine well. Is this is the real ayurvedic herbs is correct. How r u doing now Shankar. My father suffering from same liver cirrhosis problem. We r also doing Ayurveda like punarnava, kalameghasav,Alba, niruri and many more. If u ok now can I please have ur no. Need to talk plss. Any updates on improvement. I also need help in this matter. Is cirrhosis cureable by Ayurveda . does patient get 100℅ disease free. Hi doctor I am from mumbai…my father has liver cirrhosis from last one year. Is there any clinic in mumbai. Please help me. Hi doctor I am from mumbai…my father has liver cirrhosis from last one year. Is there any clinic in mumbai. My father is suffering from liver cirrhosis. Is there any doctor in mumbai. मुझे किसी अच्छे लीवर के वैद्य को बताइये up या utterakhand में ???? My dad has liver cirrhosis. Kindly let me know whom to contact for the same. My father suffering from cirrhosis of liver he is Nondrinker his age is 67.Doctor says it is due to hypetites. Is there any treatment in Ayurveda. We need guidance in treatment for cirrhosis of Liver, ascites, esophageal varices, 6 bonds done no vommitting, no stomach pain, by using diuretics now it is normal but allopathic doctors said transplantation needed, so I searched for ayurveda plz guide us we are in Hyderabad. My father 62 age suffering from lever cirrhosis. Main cause for cirrhosis is hipetite b. Please give me contact for ayurvedic treatment in Gujarat or any where in india. It’s very nice idea of sharing your experience that to on health issues and treatment available for and the feedback after using the medicine. Instead of wasting time on unnecessary things posting your real exp will help others to prevent and cure the dangerous health issues all over the world. I’m in search of permanent cure for liver cirrhosis and hence found this blog. Please share the medicine or doctor name and address who can provide the best solution for this problem (cirrhosis). My mail Id is shabaana.sk7@gmail.com. Hi, my father is suffring from liver cerrhosis pls help me he is having ascites and edema pls pls reply and help me is there any place of ayurvedic treatment help me. Can anyone please suggest me a good doctor for liver cirrhosis treatment. The main cause Is hepatitis c.
My uncle 66 years old is suffering from liver cirrhosis(non alcoholic). He is showing ascites of abdomen, CT examination reveals cholelithiasis and portal hypertension too. He is having loss of appetite and showing signs of spider naevi. He has undergone an open heart surgery for artificial mitral valve replacement some 10 years ago. We are really fed up after too much allopathy medications which of no use. I have no idea about ayurvedic medicine. And I know the liver injury cannot be undone. We now wanted to prevent his health condition from worsening. Can ayurvedic treatment help treat my uncle? could someone please suggest me a good ayurvedic clinic in Chennai? This is my mail ID. ranjithamk4@gmail.com someone please help me. Hello my dad is 67 years old India citizen leave in USA with my brother since only 2 years . He is Fully vegetarian and diagnose with CHOLANGIO CARCINOMA ( BIOL DUCK ) cancer on October 23 2018 . He got etching problem then he got jondis and his bilirubin was 9.5 then we took him to hospital they put 2 drain with the stains to open the biofuel drains. He haddock far two the drain . Both was flushed everyday good and his bilirubin was down 3.5 but since last week his one drain was leaking out side too much and we rush him to the hospital cuz of his fever was 102 and his bilirubin was 7.5 instead of 3.5 . Doctors try 2 more times to stop leaks out side but it’s still leaking but bilirubin is now 3.5 today again on December 8th 2018. As of doctors if is still leaking too much that’s means the tumor is getting big and he will not get chemo therapy till his bilirubinis down too 2 or lower. He is diabetic Which his sugar level around 120 to 240 some time . We are really need your help to suggest some medicine and some diet plan doctors advice him for more protein on his low carb diet since he is vegetarian We really need your help . Please help my dad . We look forward too receive your response soon .